I have already written many articles on Chrome errors. So, just search for the error in this blog. And, hopefully, you will get solutions to fix it. But, if you not able to find out an article regarding your Chrome error. Then, feel free to Comment. In this article, I am going to tell you some common solutions. Which always works to fix Chrome errors. IMPORTANT: If error coming on a specific site. Then, it could possible that, site is currently offline. Or, site owner is making some changes. But, if site was working find before. And, even after waiting for a day, site doesn’t work. Then, these solutions will helpful for you. 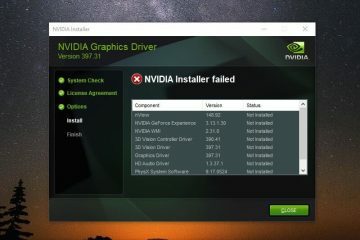 1 Fix – This Site Can’t Be Reached. 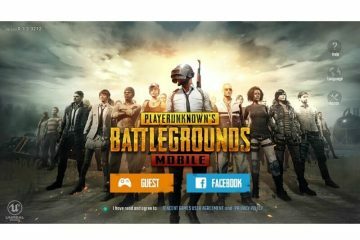 1.1 Solution for Android Users. 1.2 Check the Site is Online or Offline. 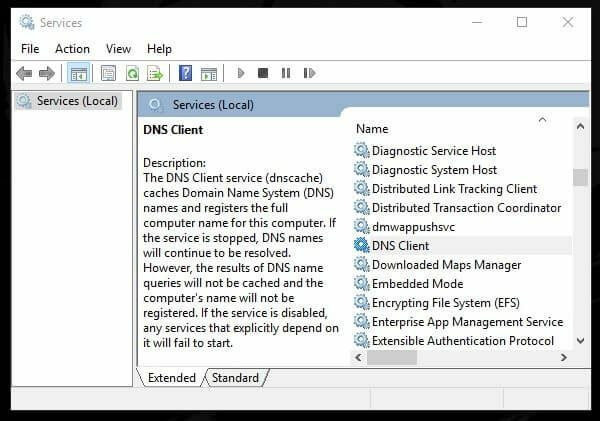 1.4 Restart DNS Client Service. 1.5 Use Google DNS Server. 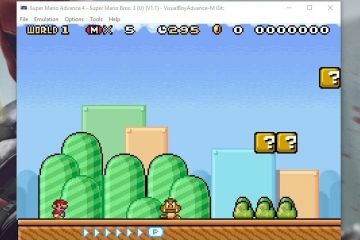 1.9 Summing – up. This Site Can’t Be Reached. 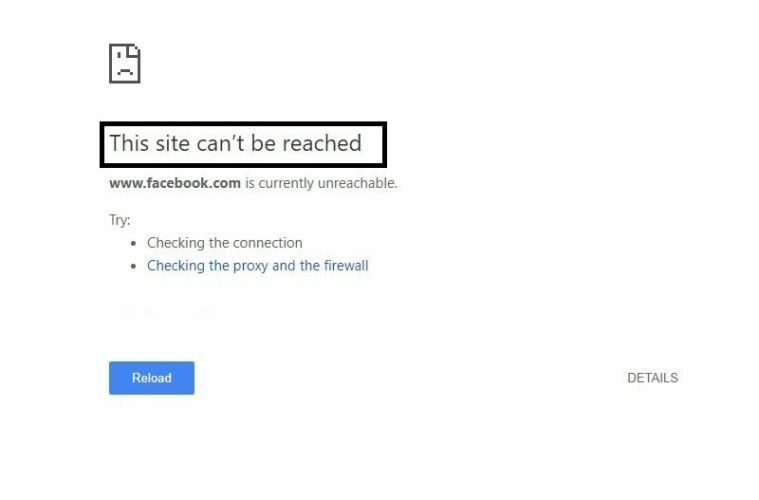 Fix – This Site Can’t Be Reached. If, this error appearing in Chrome browser in Android. Then, it could be DNS or cache issue. DNS (Domain Name System) helps browser to resolve domain name into IP address. Because, domain name (for example – www. bouncegeek. com) is human readable site address. And, IP address is Computer readable site address. And, if DNS can’t able to resolve site address. Then, This site can’t be reached, error occur. Also, it could be cache issue. For example – If a site was offline and you was trying to open it. Then, Chrome store that error information in form of cache. And, if you haven’t clear cache of browser. Then, same error information will appear every time because of cache. Chrome browser do store site cache. So that it can open site faster next time. 1. Hold down Chrome icon for a second. Tap on App info. 2. Tap on storage > Manage Space > Clear all data. 3. Press back key and then tap on “clear cache”. Now, try to open the site. If same message appear, and a DNS error also shows up. Then, follow next steps. 4. 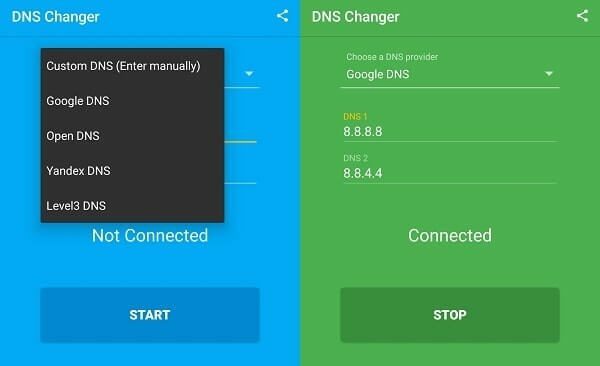 Install DNS Changer App from play store. 5. Open App and make sure “Google DNS” is selected. 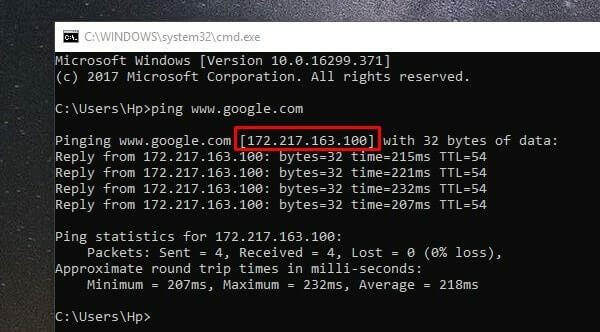 Tap on start to connect DNS. And, if nothing works, then maybe site is down. Try again later. Check the Site is Online or Offline. There are two ways to find out that problem is with site, or with your browser. It is worth to check the site condition. Before start making changes in your internet or browser. 2. Enter the website URL that you want to check, and hit enter key. In this method you just need to ping site domain name using CMD. And, if ping get fail, and “Request timed out” like, error appear. It means, site isn’t working. 1. Press Windows + R key simultaneously. Type CMD and press enter to open command prompt. If ping result shows 0% packet loss. And, sent and received packets quantity is also same. Then, it means site is up and running. Problem is just with your browser. So, in this case, you can try next solutions. Open site with IP address. If problem is with DNS. And, with the This site can’t be reached error, a DNS error also shows up. Then, you can try to open site with the IP address. Which you can find out in ping results. (The numbers next to reply from, is the IP address of that site.) Now, just copy the IP address and open it in any browser. If site get open, then, follow DNS related solution mentioned in this article. Your system keeps record of the domain names and IP address, that you have accessed in past. So, it’s better to clear all the cache. If you’re facing This Site Can’t Be Reached Error with some old sites. Open Command Prompt (Admin) or you can use Windows PowerShell. When CMD window appears. Type these following commands. And, press enter after each commands. DNS Client service helps to resolve Domain Name. And, if due to some software conflict, DNS service isn’t working properly. Then, you have to restart it. 1. Press Windows + R key to open run window. 2. Type “services.msc” and press enter. 3. Services Window will get open. Look for “DNS Client”. 4. Right – Click on DNS Client and then click on “restart” option. This solution is related to the first solution, that was for Android devices. In Android, there is an App to change DNS. But, In Windows you have to do it manually. 1. Press Windows + R key. 2. Type ncpa.cpl and press enter. 3. In Network Connection Window. 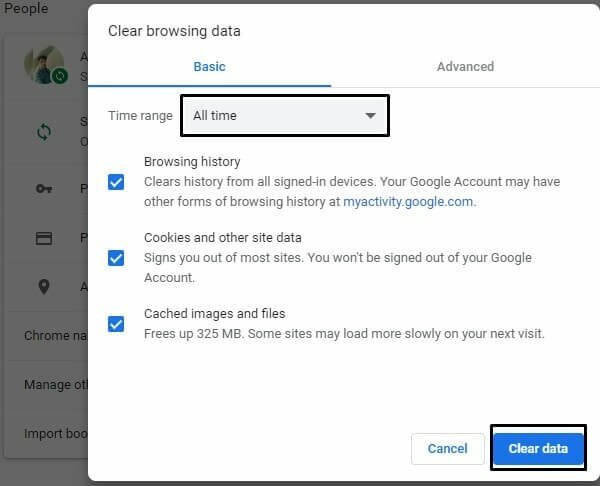 Right-Click on your active internet connection, then, click on properties. 4. Select Internet Protocol Version 4 (TCP/IPv4), click on properties. 5. Now, select “Use the following server DNS addresses” radio button. And, enter the following DNS detail of Google. 6. You can also make changes in IPv6 for the same connection. If the, this site can’t be reached error is coming only in Chrome. And, In other browser, site is working fine. Then, you have to reset Chrome settings. And, If resetting Chrome doesn’t help you. Then, you can uninstall and reinstall Chrome to fix this error. Open the following URL in Chrome browser. Click on reset settings. 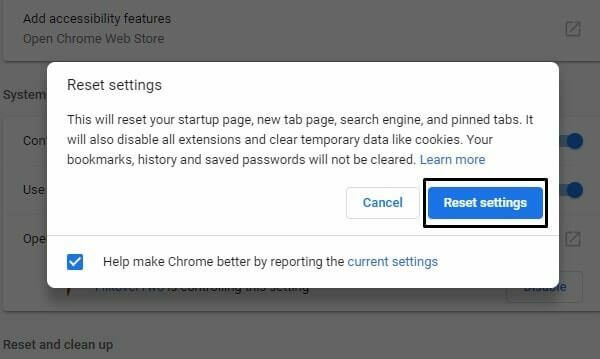 Within a second, Chrome settings will get reset. And, all extensions will get disabled. This option only clear temporary data like cookies. So, I suggest you to clear all data of Chrome by opening the following URL. Click on clear data, and make sure all time option is selected in “All range”. If nothing works, then you can uninstall Chrome by using Control Panel. And, can reinstall by using official site of it. 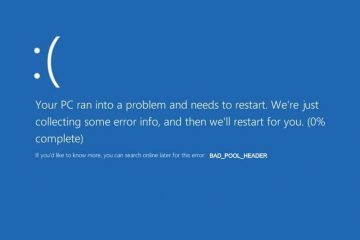 Windows provides a troubleshooter for every issue. And, there is an troubleshooter available for Internet related problems. Which can help you diagnose and fix network problems. Though, sometimes it only shows error information. But, that will also helpful to find out correct reason behind the This site can’t be reached error. Press Windows + I key to open settings App. 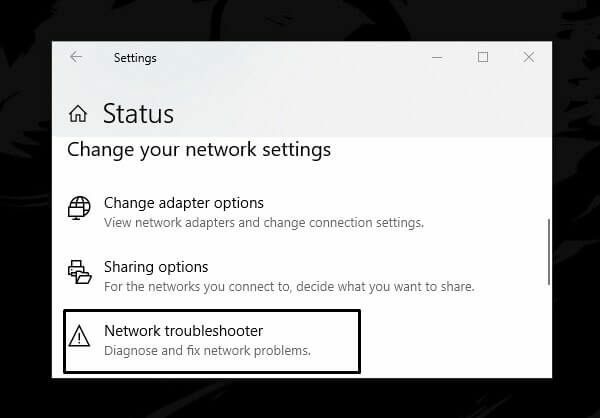 Click on Network & Internet > Network Troubleshooter. If after making changes in DNS nothing works. Then, you can try this solution. This solution set all network settings to default. So, if, due to some changes made by you this problem is occurring. Then, you can fix it by resetting network settings. Open same network & internet Window, in Settings App. 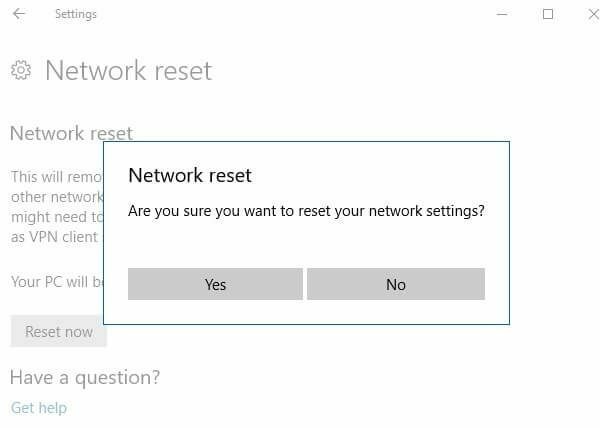 Scroll down and at the end of the page you can find out Network reset option. Click on it. Click on Reset now > Yes. Summing – up. This Site Can’t Be Reached. So these were some common solutions to fix this problem. You can find out right error from the error page. And, then can search specifically regarding that chrome error. First, you have to find out that site is working or not. If site is working then only you need to try out these solutions. If site is working fine in other browsers. Then, try only Chrome browser related solutions. And, if site isn’t working in any browser, but site is up and running. Then, try DNS related solutions. That’s it. If you face any problem while trying out any solution, feel free to comment. Next ArticleGmail distribution list – Create group in Gmail. 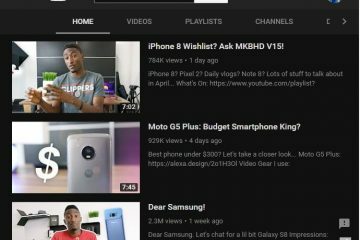 How to Enable YouTube Dark Mode in Any Web Browser in a minute. 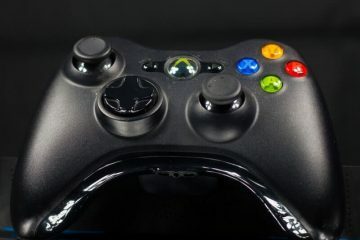 Best Xbox 360 Emulator for PC, How to Play Xbox 360 Games on PC.